The Australian College of Nursing (ACN) is concerned that severe climate events are having a significant impact on the health care needs of Australians. 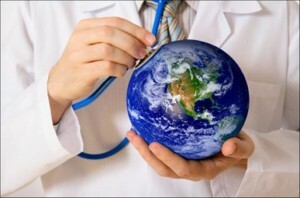 The College of Nurses said that their concerns were reasserted this week with the release of the United Nations Intergovernmental Panel on Climate Change (IPCC) report which details the affect climate change is having on people’s health in Australia and around the world. Heat-waves, fires, floods and droughts have resulted in higher hospital admissions, mental health problems and increased mortality. For human health, these also translate into increased rates of grief, sickness and misery. As a result, the ACN is calling for a greater emphasis on helping people and communities manage the mental and physical effects of a changing climate. Dr Liz Hanna, IPCC report contributor and ACN Climate and Health Community of Interest leader, said we must ensure we have a resilient health care system that is up to the challenge of coping with increased demand for services especially over the summer; we must be ready to respond to catastrophic events such as floods and fires. “Nurses and other health professionals will be at the forefront of responding to the health effects of climate change. We must ensure that they have the training, support and resources to respond to the physical and mental effects of extreme weather events,” said Dr Hanna. “Climate change is also likely to exacerbate pre-existing health problems and place additional pressures on health care resources, which are already stretched thin due to the rising costs of health care and an ageing population,” said Adjunct Professor Thoms. The IPCC report warns that climate change is a serious risk to humanity’s survival. The ACN stated – It is in the best health interests of the Australian and international communities to heed these warnings. The ACN stated this means taking action in our own lives and workplaces, as well as getting the policy settings right at the national level.